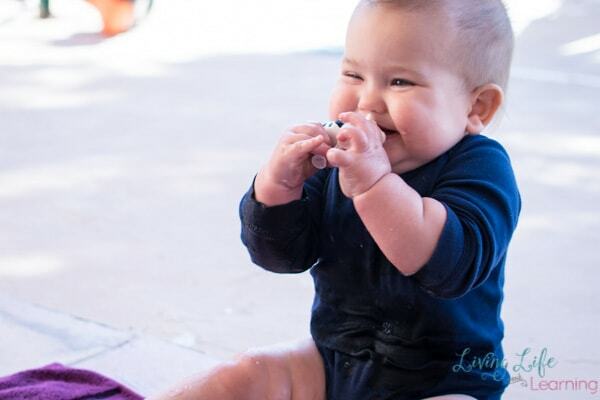 Have you ever wondered how to keep your baby entertained? Don’t think they can do much? Think again! 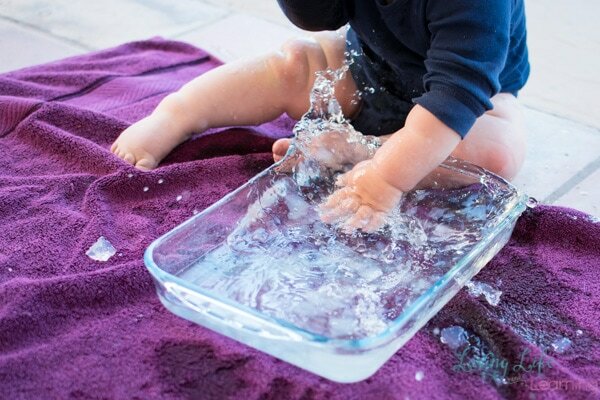 Babies can do lots of great, simple sensory activities – and they love them! 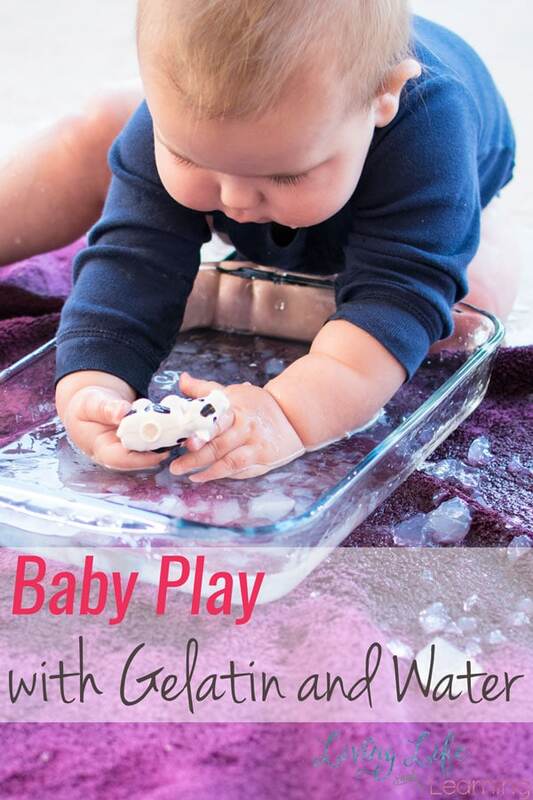 Today’s Baby Play with Gelatin and Water sensory activity was actually a follow-up and extension of Baby Play with Gelatin. Plain gelatin. Jell-o would work, too. Container to hold the gelatin. Plastic animal (optional). Adding a random item definitely added an extra dimension to N’s play. Towel or shower liner to play on. We often use a shower liner, but I chose a large towel this time because of the water. It worked great, but we played on the patio. Had we been inside, I most likely would’ve doubled up with a shower liner underneath the towel. N immediately stuck his hand in the water to explore the water/gelatin mixture. and fishing the cow back out of the water. For more simple sensory activities, try Goopy Grass Sensory Play, Flower Sensory Soup, Simple Snowman Sensory Bin or Nature Exploration on a Mirror. Aww! So cute! I’ll suggest this to my friend who has a toddler that might like playing with this.